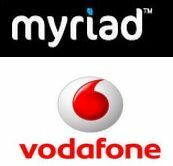 Switzerland-based mobile technology company Myriad Group AG has partnered with telco Vodafone Essar, to deliver social networking to its subscribers across India, the company disclosed in a statement today. Vodafone Essar will leverage Myriad's flagship mobile social networking platform, Xumii, to offer mobile social networking over USSD and SMS, the statement said. Myriad Group AG is a mobile technology provider and has shipped over 3.8 billion software applications in more than 2.2 billion mobile phones. Its portfolio includes browsers, messaging, Java, social networking, user interfaces and middle-ware for all types of mobile phones, from ultraâ€low cost handsets to advanced smart phones. Xumii is a social network aggregating platform that allows you to see status updates from all your favorite social networks and update your status instantly on all of them. USSD (Unstructured Supplementary Service Data) is a GSM-based technology that is used to send text between a mobile phone and an application program in the network. It allows a mobile to receive content without using the internet or activating GPRS capabilities and is used to obtain pre-paid balances and offers as well as access Facebook and Twitter. Along with this, Vodafone Essar, will roll out Myriad's portfolio of mobile messaging services, including SMS, instant messaging and mobile email. "Adoption of social networking on mobile devices across India is growing exponentially. In order to keep pace with market demands, our partnership with Myriad will enable us to deliver social networking services across our entire subscriber base using SMS and USSD," Kumar Ramanathan, CMO, Vodafone Essar commented on the partnership. Vodafone Essar had 144.14 million with a market share of 23.56 per cent as of August 2011. India is the fastest growing cellphone market in the world with more than 611.75 million GSM subscribers. India has added 5.3 million new GSM connections during August, according to the data released by the Cellular Operators Association of India (COAI).